Tonight’s Post Patron is my favorite…FabFitFun!! The Spring Box is here & it’s amazing!! These seasonal boxes of health, wellness & beauty products are valued at over $300, but yours for only $39.99! Use my code SPRINGLOVE for $10 off! Unboxing video coming soon! I’ll tell you what, I think it is just amazing to see the ways in which God works. In the last two days, God has plopped in my lap, two very very apparent juxtapositions for me to contemplate. I swear – the minute you start looking for God in your everyday life, you realize that His presence and His orchestration are ALL OVER IT. Seriously – try it…it’s fun. But as you read on Monday, I went to the *phenomenal* ProLife film, Unplanned, in NYC, and was the ONLY PERSON IN THE THEATER. I know – crazy, and disappointing and just such a let down. And side note — GO SEE THE MOVIE, IT WILL CHANGE YOUR LIFE. But, after that film, I was equally fired up about getting out there and changing the world and fighting the good prolife fight, and yet also disheartened that I was seemingly fighting the battle alone. I mean, until you watch a film in a completely empty movie theater, do you fully understand what “alone” really feels like. Anywho – fast forward now, two days later, to yesterday, when I had such a ~spoiler alert~ spirit affirming experience. 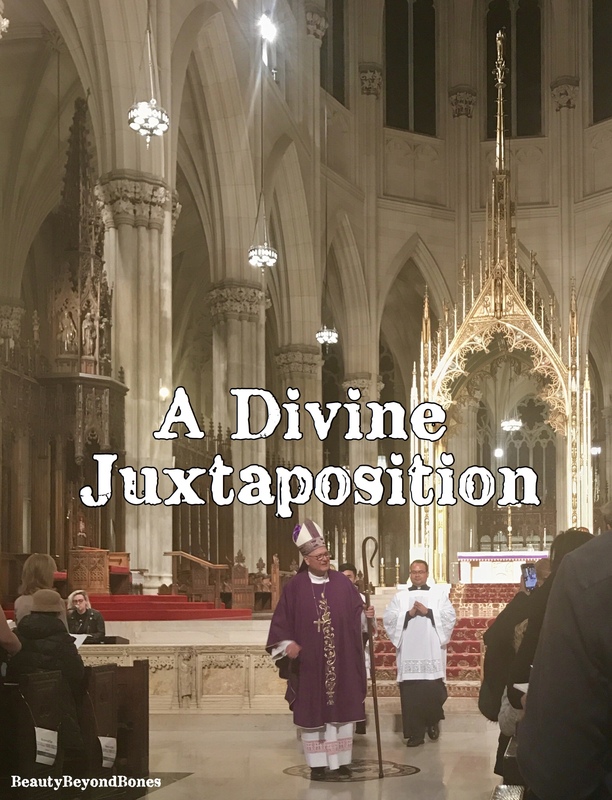 I went to the Young Adult mass at St. Patrick’s Cathedral – Cardinal Dolan had the mass, and Audrey Assad (!!!) provided the music for the hour of adoration beforehand, as well as the music during mass. And the cathedral was standing room only. It was packed. PACKED! And with people between the ages of 18-35! I mean, what?!? It was incredible. I shuffled into my pew, and the ~very handsome~ young man behind me was on kneelers praying, and quietly singing along to the Audrey Assad song, knowing every word. Granted, his girlfriend shuffled in a few minutes later, so…womp womp…but still — what a sight to behold! But it was such an uplifting, beautiful gathering of young people of faith! I was positively buzzing afterwards. What an incredible juxtaposition God provided that evening, from my previous movie theater let down just 48 hours earlier. But Cardinal Dolan’s homily was so powerful. It was about how our memories and dreams are some of the most important things we have in this life. And indulge me for a minute – I want to try to share the message in a nutshell. We cherish our memories. They shape who we are, and we have this special bond with the past. But the greatest – and divine – purpose for our memories, is remembering how God saw us through trials and challenging seasons. And sitting there listening to this in the pew, I was nodding my head going — Okay…yes!! This could not be more true for me. I mean, I have a complicated relationship with my past. Because for as beautiful a childhood and upbringing that I had, my past and my memories are also full of a lot of pain. Seasons of sorrow – from the severe anorexia that nearly took my life, to the Ulcerative Colitis that ravaged my body and had me on bedrest for 11 months, to the sorority scandal, to my mom’s stroke. There’s a lot of pain. But in that pain is also beauty: because as Cardinal Dolan reminded us — those memories highlight God delivering us from those trials. Loving us through the hardships and comforting us in the grief. Our memories are important, because they point to Him. Our dreams are a powerful thing. They help shape our decisions, they influence our actions both today, and in the future. They are a truly defining part of who we are. But when we get down to the nitty gritty — ask anyone on their death bed, and no longer are they dreaming of owning a vacation home, or a fancy sports car. They’re not dreaming of being a movie star or a major league baseball player. They’re dreaming of Heaven. They’re dreaming of eternity with Jesus. That’s what matters. That’s the greatest dream of all. And the sooner we realize that, the better. Because then we will let that ultimate dream influence our decisions, and the way we live our life. I don’t know why I was supposed to hear that particular homily, in that particular setting, but I don’t think it’s a coincidence. Obviously, one of my greatest dreams is to get married and have a family. And, given my recent miracle, I am so beyond grateful that that dream can now physically be a reality for me someday, God willing. But it’s like that homily was bringing my whole story full circle, right? – Coming to peace with my past, that I – admittedly – feel so much shame and guilt for. Coming to peace and seeing it as a victory of God’s mercy and love and grace. And then, to consider my dreams. And to confront my dream of marriage, literally in a church that is standing room only with eligible bachelors. I mean…well played, God. Well played. But. I definitely felt God’s hand in that whole orchestration last night. So, thank you, Padre. Next time, I’ll just have to work up the courage to stick around for the mixer afterwards. How do you feel your memories and dreams impact your present life? Do you make decisions based off of your dreams? Let me know in the comments! Get my videos, recipes and posts delivered straight to your inbox! I am SO pumped to introduce my new sponsor SeatGeek! They have a special deal just for my readers!! You get $20 OFF of any concert tickets, sporting event, Broadway tickets, comedy shows – you name it! So use my code: BEAUTYBEYONDBONES at checkout for this special offer!! YAY! 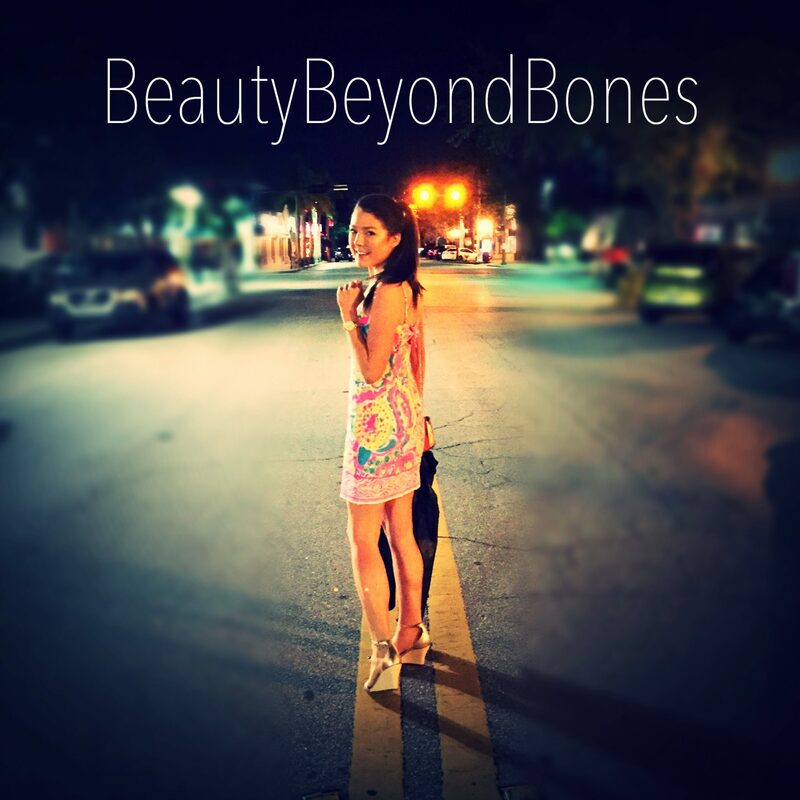 Use my code: BEAUTYBEYONDBONES for $20 off!! God certainly has a habit of meeting the disappointments of the world with the delights of His kingdom. It’s been a similar time for me as well! Keep walking on! Whenever you get a chance. Plz follow us. Thank u. Wonderfully inspiring series of posts. St. John of the Cross writes about how memory must submit to hope… memories are of things already obtained/experienced, hope is in what is coming, which for the Christian is eternal unity with God. I am glad that the Spirit is stoking your hopes. Christ’s peace be with you. I just recently received feedback on a short story I wrote for a competition. One of the judges said that my portrayal of a cruel, insane mother was spot-on. The funny thing is that I based that character in my story on my actual mother, with only a few fictional liberties taken. It felt validating to hear this judge in the contest call her cruel and insane. (I’m mentally ill, so I’m not trying to sound pejorative by using the word “insane”, but… yeah, “cruel and insane” pretty much describes the sort of mother she was.) And the judge really liked the story, so I realized that the challenges I’ve been through have allowed me to emerge as a great writer, and it made me happy. I’m so happy to see a pro.life blogger like you. I’m most certainly completely on your side. I have two reactions to share with you. First is Julie’s parenting mindset; the job of a parent is to give their children great memories. Not things. Memories. Some of my fondest memories with Julie involve my bypass surgery and the absolute peace I felt when she just sat with me and watched over me as I dozed. One especially vivid memory was biking on Put-In-Bay in Lake Erie about 9 months after bypass surgery. I lost energy and needed to lie down. We found a nice patch of grass in the town square, and I napped in the sun while Julie sat there with me. Pure bliss! Second: I know you struggle with your past. All I know is the wonderful friend you’ve been to me and can’t imagine anything else. When I hear that pain, I’m back to wanting to embrace you and kiss the top of your head as I wrote years ago in Beauty and the (ED) Beast. Christ has redeemed you from that! He’s made you that bright, Tiffany lamp shining from within. And, as much as one can redeem oneself, the person you are has redeemed the person you were. That’s me this evening. Here’s to memories we have and memories we will have! What a beautiful post! I love Audrey Assad’s music! I’m glad you were blessed. Hi Caralyn: It seems like forever since I have responded to your blog. Life has gotten real busy, with complications. Anyway, it is always neat when God speaks and confirms things, or directs us. The important thing you are sharing and teaching, is we need to listen for Holy Spirit, and listen to Holy Spirit. Your life is a Prime Example for each of us. p.s. – looking forward to hearing future Holy Spirit guiding, with excitement. Thank you Caralyn. I appreciate all your prayers. The situation with our nephew, Ken, is worse. He is the 34 year old who went to the hospital for heart surgery, and came out of surgery with brain damage. He has short term memory loss, affecting walking, Speech, eating, talking, all life really. After six months in hospital, he was discharged, saying they can do no more for him. He lives on his own in an apartment. A nurse has been coming in morning and evening, to teach me to crush all his pill meds, mixing them with liquid meds, and thickening to correct texture due to swallowing problems. He also needs all beverages thickened, and all food minced. Temporarily he has PSWs coming in 3 times a day for 2 hours each, for getting him up and washing / dressing in the morning. Then changing for bed at night. And each is to prepare meals. Some are not sure how to mince the foods, and have a hesitation of thickening the drinks. So Barb, my wife, and I are spending most days there. Up at 5:30a.m., with Ken, visiting, preparation of food, running around, or having meetings with various therapists, nutritionists, directors, and more, then sleeping around 9:00p.m. Still more, but that is part of our days now. Working on getting him into a Retirement Home, short term, or Long Term Care, at 34 years old. Sleeping in a chair when I arrived. He awoke ok. But he was so sad looking, and as I thought of his situation, I made sure all was ready for Nurse and PSW then I left. I left quickly, because my tears started flowing, and I didn’t want Ken to see that. I returned straight home, crying all the way, cancelled going to the meeting. Sorry for taking up all this space and time Caralyn. It wasn’t planned to be do long. Oh gosh, that just breaks my heart. Please don’t apologize! I appreciate you sharing. Know that I’m with you, Barb and Ken in prayer and spirit. Great post to read. Could the worshippers at St. Patrick’s Cathedral reflect who you need? I had memories go with a couple of decades of adulthood, and dreams, when I am aware, giving me pictures dealing with a process. My lovely sister once gave me a “dream dictionary,” a book explaining symbols in dreams we have when we sleep. Please make the most of what you’ve seen at St. Patrick’s Cathedral. Although we all love you for your tears and want you to feel restored every time you’re sad, your readers want you to keep to a path where you know The Lord will guide you. Awesome message sister! I pray you can find a guy who loves the Lord as much as you. 🙂 God bless! You are so right. It is in our darkest moments we sometimes experience moments of the purest joy. I have had many challenges through the past five years, trying to bring two teenagers through an extremely challenging divorce, which had at times shocked even my experienced and worldly lawyer . I have lost my best friend here in Australia, to cancer. I had youngsters studying hard to make it to university and having to deal with that pressure but in the midst of all that, there have been moments of pure love and peace, made all the more precious because of the swirling turmoil, trying to envelop us all. Many hugs and much love to YOU. It is great when you get this feeling. You are welcome very much. It is really nice to be around godly people as opposed to church fakes. You should feel no shame for the journey you have taken. You not only made it through but you are using your experience to help and educate others. Nice job C ! Keep stretching and growing. My dear friend was also a Catholic like you. We often saw things differently but in the end, all that matters is that somebody is there for you, when you need a friend. Maybe. You’ve made a choice, already? One would think, a room full of what you’re looking for and, you exit? 🤔😱😳😕 I mean. That’s a bit like, swiping left. That’s a choice. Let someone in. Let them scoop you up and not let go. I know what being alone is like, I’d feel insecure with someone. But, I’m old. It’s fine. My wisdom comes from a full life of failure and disappointment. Lewis Carroll, said to do six impossible things before breakfast. It’s interesting, choosing six because normally we can only concentrate on six to eight things at a time. So. I have that, “what if” mentality. Improv, is definitely a skill and maybe that’s what you could fall back on when you feel insecure. Those, impossible things are what we focus on rather than the, doing. Ah. Contrasts! I get it. Now your post just got, better. Hey we just saw Unplanned today my 3 were the only ones there. But the good news is the movie has be well received and made #5 at the box office last week, grossing it’s budget back on the first run. I think more people will be affected by this if the people who watched it will just pray that God intervene, or just show up at the clinics and pray. As I’ve said elsewhere, love is basic to our very being. It is who and what we are. Love is all; love is everything. God is Love. As my departed wife Pat said, “We ask nothing, we have all!” Life and love are forever. As surely as night follows day, the Kingdom of Heaven is within us here and now!. What a powerful reminder of how amazingly good God is. Thank you for sharing! Get Jeff Meyer’s book “Fear Not, Dream Big, and Execute! Make the dreams God has given you reality! Great post! I’d definitely say that my dreams guide my decisions. My dream finch finishing undergrad was to become a licensed therapist and to open a private therapy practice. It guided many of my decisions as I went through the process and I officially opened my office on Monday and am slowly building a caseload. God is good! Good to know! I’ll give you a follow! You just never know what people out there! I’ve seen so much on social media these days! Aw thanks!! I know — the internet is a crazy place!! You just never know!! 💛💛💛have a beautiful weekend! Sooner or later, big actions taken come down to dreams and fears. I go with dreams. And courage to pursue them. When I first read the statement about the importance of dreams, my mind went to argument mode as I thought of the dreams I have at night which I have no control over and wake up…well shameful….then you twisted it for me about the dreams of our heart…dreams of meeting Jesus. So good! Thank you for challenging me today. Hi, friend… I’m late in reading this. I’ve had a very busy week, and I’ve really had to concentrate on just holding things together, but the one good thing about going to bed late and waking up early two nights in a row is that I can do things like catch up on the usual blogs. Anyway, as to your question about memories and dreams, sometimes I feel like at this point in my life, I’m just an old man full of regrets. I know, I know, early 40s isn’t exactly old, but given the way certain things have gone, and the way that I’ve seen so many peers, and then former students, grow up while my life has remained fundamentally the same, it definitely makes me feel old. And I’ve also had some experiences that have made me question my dreams in the first place. Do I really want to get married? Is this really the right career for me? I don’t know, and figuring that out might be a bit of a process. Memories are a tricky subject as well, because it’s easy to get caught up in living in the past. I started writing DLTDGB a few months ago as a way to revisit some of those memories from a specific time period (1994-99, eventually, but the story is still in 1994). I originally intended to focus on the funny and lighthearted memories, but some of the stories have been more like coming-of-age stories and life lessons to learn. That was an especially noteworthy time period in my life: my first time on my own, closer friendships than I’d ever had before, my coming to faith, and my first (and probably still most significant) experience serving in some sort of ministry (church youth group volunteer for junior high kids). I plan on having the character from DLTDGB have a similar faith journey (oops, spoiler). As I’ve written many times before in Highway Pi, the sense of community that I had back in those days has not carried over into my adult life, so there’s a strong temptation to want to go back to those days. But that can’t happen. The world has changed. I’m currently about 30 miles away from where I lived at that time; I have a few friends from adulthood that live there, and a few from my college days who never left, and I go back several times a year for college football and basketball games, and if I’m not on a schedule, I often just drive around blasting grunge and 90s pop-rock. I’ve thought about moving back at two distinct points in my life, but I’ve decided it’s not a good idea, because (among other reasons) even if I were to move back, it wouldn’t be 1998 anymore. Love this post! Ezekiel 37 is hands down my favourite passage of scripture ! So powerful ☺️ thanks for this ! Wonderful post. I especially liked the greatest dream of all, spending eternity with Jesus. Everything here will vanish with time but our eternity with Him in Heaven will last forever. It is unlikely we will ever meet on this earth but I am planning to see you there! Wow! Beautiful write! I too have spent my time alone in a theater, usually when I am going to see a faith-based film. Sad to see, but it is the culture/society we live in for sure. I, too, have a past…we all do. It is truly amazing how hindsight truly glorified our Lord! Thank you for writing this. God bless you.